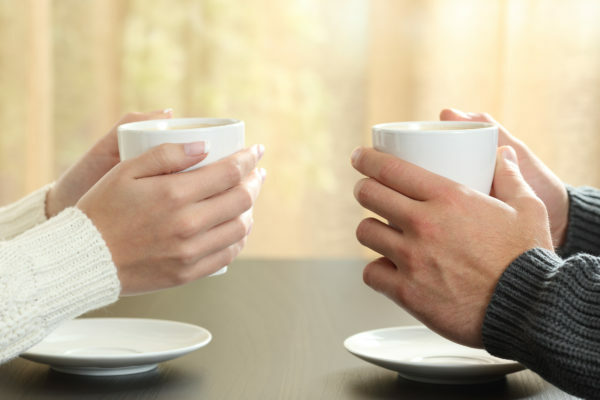 Ah, the coffee chat, one of the best things to happen to networking as the time it takes to casually sip a cup of coffee is the perfect amount of time for a nice conversation that doesn’t drag on past the point of comfort. Plus, there’s coffee. Enough said. A coffee chat or informational interview is a great way to casually get to know someone and learn about what they do, or the company they work for. Getting first-hand information about what it’s like to really work at an investment bank from a real employee is a great way to assess your own career path and help you decide which direction you ultimately want to go. Coffee chats can be a little daunting, especially if you’re still new to networking. We put together a list of some of the most important do’s and don’ts to help you network like a pro. As the great Wayne Gretsky once said, you miss 100% of the coffee dates you don’t ask for. Okay, he didn’t really say that, but you get the idea. You can’t expect to go for a coffee chat with someone if you don’t ask! Chances are, this person was once in your shoes and had a great coffee chat that led them to the position they are in now. Many people would love the opportunity to pay it forward and help a new generation of jobseekers. Need help formulating the best email to send to someone? We got you covered. Everyone’s busy, and some people you really want to get to know and learn more from simply don’t have the time to fit you into their schedule, and that’s okay. If someone lets you know that they don’t have the current availability, don’t take it too personally, and especially don’t try to force someone into a situation they can’t simply can’t commit too. This doesn’t mean you shouldn’t try (see above), but once it becomes clear that this person will not be able to meet up with you, politely thank them for their time and move on. 9 times out of 10, the answer to any sort of career advice always lands somewhere along the lines of doing your research and being prepared, and the coffee chat is absolutely no exception. Sure, a coffee chat is typically supposed to be a natural and organic conversation, but there’s nothing worse than running out of things to talk about, or even worse, not knowing about this person’s company and what they do there.. Take some time to formulate a few questions or conversation topics you can use to guide the chat where you want to take it. If you’ve never asked someone out for a coffee chat before, it may actually be really helpful to start with people you know to get a little practice on how they work. Grab a friend or a colleague to help you feel comfortable first before you move on to meeting up with new people. Typically when someone agrees for coffee, they’re doing so out of the kindness of their own heart to allow you to get a better sense of what it is they do, or who they work for. It’s incredibly disrespectful to immediately ask someone for a job after a short conversation, as it makes it feel as if you’re simply using this person for your own personal gain. In addition, this person is already doing you a favor simply by taking the time and showing up, asking them to put in additional effort or work generally won’t motivate anyone to do anything for you. After your conversation it’s incredibly important to continue the dialogue and even more important is to thank the person for their valuable time and insight. People genuinely appreciate being appreciated, and a short thank-you note will really make an impact. In addition, if during the course of the chat the person mentions that they’ll try to connect you to someone or tells you they’ll send you along any helpful resources. Make a mental note of that and bring it up in the follow-up email. Following up is an important way to ensure that you have an ongoing connection with this person and can leverage this new contact in the future if need be. Looking to up your networking game? Check out our articles on how to rock a company info session and craft an excellent elevator pitch.